FCB Inferno has offered full-time jobs to three young creatives after running a pilot initiative to give women from diverse backgrounds a taste of advertising. 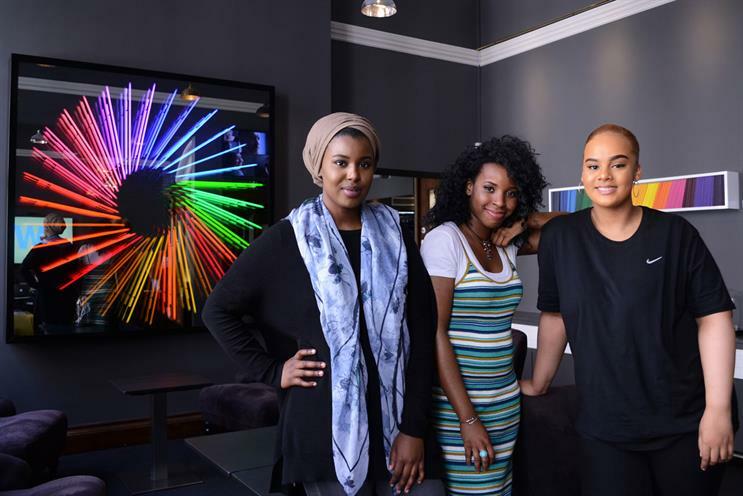 Sophia Tassew, 19, Adela Harewood and Luul Hussein, both 24, have joined FCB Inferno as a junior creative team. The trio had been part of the nine-strong intake selected for the GirlHood initiative. The GirlHood is an independent organisation that was created in 2015 by Kati Russell, a former D&AD New Blood programme manager, and Natalie Rodden, a teacher, with the aim of exposing young women to the creative industries. The GirlHood's creative traineeship is open to 18- to-24-year-old women from diverse backgrounds and ran through FCB Inferno for five weeks earlier this year. The organisation offers agencies the chance to host its traineeship and help shape its curriculum. Nicola Willison, a senior strategist at FCB Inferno who worked on the "This girl can" campaign for Sport England, was responsible for bringing the initiative into FCB Inferno. Owen Lee, FCB Inferno’s joint chief creative officer, said: "This whole experience has been eye-opening. The work the girls are producing is refreshingly different and the attitude they bring any agency would benefit from. "The speed in which they have grasped how to write campaigns has been truly outstanding."